Wishing you a happy birthday. May all your dreams come true and may you fine peace and happiness all through your life. Birthday wishes for stepping into sweet sixteen. Be always sweet and nice like you always have been and may God bless you. Happy Birthday to you, as you enter into the next level of your life. May your life be fun filled, joyous and exciting forever. Wish you a happy and sweet sixteen. As you step into the sixteenth year, all I have to say is wish you lots of happiness and joy. Happy Birthday to the one who has been a reason of our smile. May God shower you with blessings innumerable and may peace and prosperity come upon you. With a sweet sixteen coming right up, all I have to say is “Happy Birthday to you”! Wishing you a birthday filled with lots of wonderful surprises that can make your day treasurable forever. Birthdays come once in a year. But 16th birthday just once in a life time. So enjoy and have fun..and make sure to make others happy too this day. With lots of love, lots of kisses, and a bundle of roses, we wish you a Happy 16th Birthday! Have a wonderful day with your dear and near ones. May peace and prosperity be yours this birthday and forever. Have a dashing day ahead. Happy birthday dear! Wish you a Birthday with fun and excitement unlimited that can make your birthday more special! Happy Birthday to the 16 year old, and wish a dashing day ahead! Happy birthday dear! 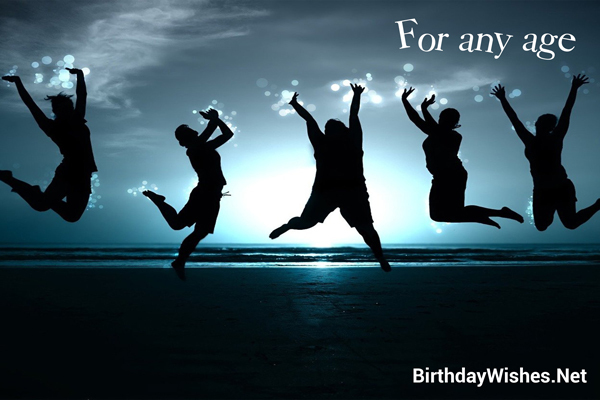 Make this 16th birthday a lively one and may your days ahead be lively and fun-filled! You are wonderful, you are unique, you are lovable, you are always remembered dear 16 year old! Make the most out of your teen age. Yet another sweet teenage year ahead for you. Have a blast this birthday and make your teenage more colorful and sweet. Happy Birthday, Sweet 16 year old; May life bring you more fun that can brighten up you, and make you happy for the rest of your life! Sweet little 16 has come up right away; Celebrate and enjoy this special day. Happy birthday! Happy Birthday to the sweetest person one has ever seen! May joys and blessings shower upon you and may peace be with you all the time! Happiness and sorrows, life’s two faces…. If you need to wipe out your worries, just listen to this tip…Blow up your birthday candles and wish yourself “Happiness forever”! May the joys of this whole world be showered upon you, and may you find peace, joy and prosperity. Check out this amazing collection of 16th birthday wishes, the 16th birthday wishes on this page incorporate the messages from these article, but feel free to add your own.